Thou be capable of searching and awaiting! The lyceum literary studio was founded 20 years ago. 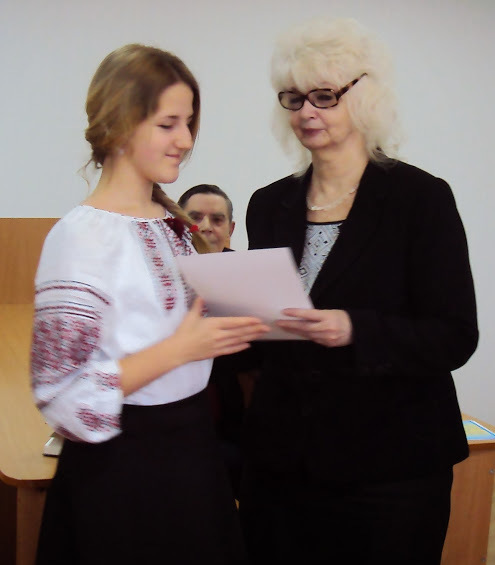 During this period it has been run by the well-versed masters of the Word: Lyudmyla Halitsyna, Kateryna Balokha, Petro Kononenko, Atylla Mohylnyi, Natalka Poklad, Vasyl Herasymyuk, Lesya Movchun. 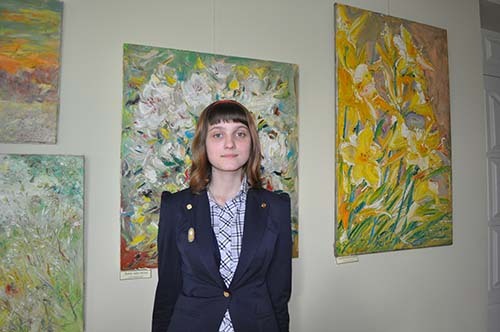 The studio has become the first step at the artistic pedestal of the alumni: Olha Hermanova, Viktoriya Afanasieva, Maryna Lypko, Oleksandr Bilenchuk, Valentyna Zakharchenko. 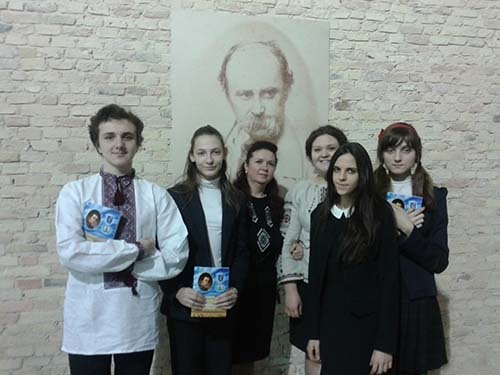 During last several years students of our lyceum (Olha Rusina, Sofiya Kostytska, Artem Osypian) also made a confident and daring step in their creative work, as they became authors of their first books. 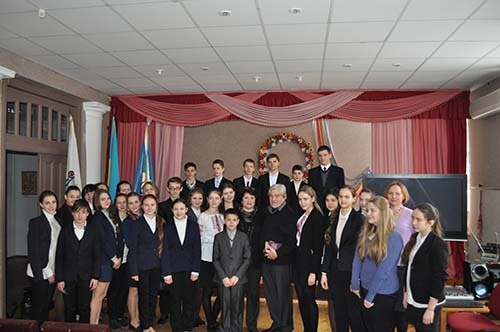 The lyceum pupils literary woks are presented in Prostir (Space), the lyceum magazine, “Pecherskom slavytsia stolytsia” (The capital is famous for Pechersk) collection, “Svit dukhovnosti” (the World of Spirituality) (1998), “My yaskravi khmarynky u bezodni doschiv” (We are colourful clouds in the abyss of rains) (2001), “Blakytni vezhi zolotoho slova” (The Blue Towers of the Golden Word) (2006), “Potoybich Pauzy” (Beyond the Pause) book. In 2005 “Abrykosliv” by Viktoriya Afanasieva, “Nadto” (Too Much) by Olha Hermanova, “V ochikuvani schastia” (Waiting for Happiness) by Maryna Lypko, “Vikno z oseni” (Window from Autumn) by Oleksandr Bilenchuk collections of poems were printed and presented at the National Writer’s Union of Ukraine.